Interior of the White Oak's Restaurant = Rathskeller menu, with a sheet listing German specialties, as well as appetizers, steaks, and seafood. 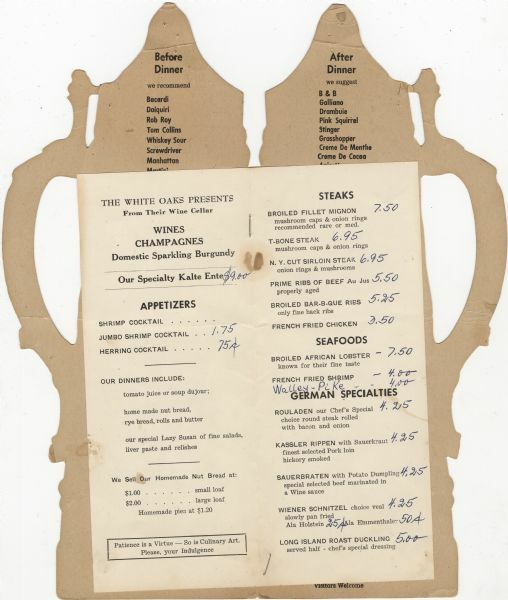 The copyright on the back of the menu is 1946; a handwritten note on the front reads, "Spring-1970." See Image ID: 120181 for the exterior of this menu.